Newcastle came from behind to beat a lacklustre Manchester City 2-1 at St James' Park and hand Liverpool further initiative in the Premier League title race. City looked on course to close the gap to leaders Liverpool to one point after Sergio Aguero scored just 24 seconds into the match. However, a slack display from the champions was punished as Salomon Rondon equalised in the 66th minute and then Matt Ritchie converted a penalty with 10 minutes remaining. City hardly threatened a response and Liverpool could now move seven points clear if they beat Leicester on Wednesday. 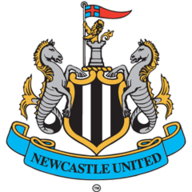 Newcastle, meanwhile, are five points clear of the relegation zone and could soon be boosted further by the signing of Miguel Almiron for a club-record fee. The celebratory atmosphere at the final whistle at St James' Park was in stark contrast to the subdued start after City scored the quickest Premier League goal of the season. Raheem Sterling crossed to the back post and David Silva stooped to head across goal for Aguero, who scored his 15th goal in 13 Premier League appearances against Newcastle. But City did not build on their early advantage and were slack throughout the first half. Ayoze Perez had a chance for Newcastle in the 13th minute when he dragged a shot wide, while City saw a goal ruled out when Kevin De Bruyne was booked for taking a free-kick too quickly that Aguero scored from. As City struggled to find their rhythm, Newcastle threatened on the break and Christian Atsu had a shot that deflected over the bar. 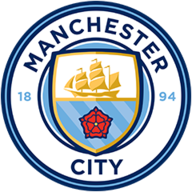 City did not create another opening until late in the first half as David Silva's header was blocked in the six-yard box by Florian Lejeune. The visitors looked as though they would raise their level after the break as Sterling almost turned in a cross from Sane and then Martin Dubravka pushed clear a shot from Silva. However, City could not take control of the match and Newcastle took advantage. Rondon volleyed home in the 67th minute after a headed dropped into the box before Newcastle were awarded a penalty when Fernandinho was caught in possession and tripped Sean Longstaff. Newcastle stuck with the same XI that won against Cardiff in their last Premier League match while Sergio Aguero, David Silva and Raheem Sterling started for Manchester City. Benjamin Mendy did not make the squad. After a long wait as Ederson received treatment for an injury, Ritchie stepped up and fired the penalty past the goalkeeper. City controlled possession in the final 10 minutes but did not threaten an equaliser as Newcastle held out. Newcastle have beaten Manchester City in a Premier League game for the first time since September 2005, ending a run of 22 meetings without a win against them in the division (D3 L19). This was Pep Guardiola's 100th Premier League game in charge of Manchester City (W73 D15 L12 - 234 points); despite the defeat, only Jose Mourinho (W73 D18 L9 - 237 points) picked up more points in his first 100 managerial games in the competition than the Spaniard. Newcastle have now won five of their last seven home Premier League matches against sides starting the day in the top two in the table (L2). Manchester City have now dropped 16 points in their 24 Premier League games this season having drawn twice and lost four times; already more than they dropped in the entirety of 2017-18 (14 - four draws, two defeats). Manchester City have lost three games in which they have been ahead in the Premier League this season, their most in a single campaign since 2008-09 (four). Manchester City forward Sergio Aguero has now scored 15 Premier League goals against Newcastle United; only Alan Shearer v Leeds (20 goals), Shearer v Everton (16) and Les Ferdinand v Everton (16) have more against a single club in the competition's history. Sergio Aguero's goal after 24 seconds was the earliest goal scored in this season's Premier League, and the fastest Manchester City have scored in a Premier League game since Jesus Navas netted after 13 seconds against Tottenham in November 2013. David Silva has been directly involved in 10 goals in 14 Premier League games against Newcastle for Man City (five goals, five assists), more than he has against any other opponent in the competition. All 30 of Salomon Rondon's Premier League goals have been scored from inside the box - of current Premier League players, only Javier Hernandez (49) has netted more with 100 per cent being from inside the area. Of Matt Ritchie's 16 league goals for Newcastle, 14 have been at St. James' Park; his penalty was Newcastle's first to be scored in the Premier League since Georginio Wijnaldum scored from the spot against Spurs in May 2016. He did not have too much service, but Rondon was the perfect outlet for Newcastle. He was strong when he got the ball, held it up well and brought team-mates into play. He made more passes than any other Newcastle player, won nine aerial duels - four more than any other player on the pitch - and showed composure to score the equalising goal. Newcastle are live on Sky Sports as they go to Tottenham on Saturday and then Wolves on Monday, February 11. City host Arsenal on Sunday, live on Sky Sports, before a trip to Everton next Wednesday. They then face Chelsea at the Etihad on Sunday, February 10, live on Sky Sports.